Discussion in 'Online Casino Promotions' started by Ellis, Apr 17, 2015.
room into a small disco full with dance floor wilds, free spins and cool beats! If you would love to give the Disco Spins Online Slot a try this weekend? Why not make a little deposit now and earn some triple loyalty points! Each €10 you wager gives you whopping three points, that you can redeem for instant casino cash if you have collected enough of them. This offer is only available now until Sunday April 19, 2015 so start playing now and earn some triple rewards! bonus as well as 100 free spins valid in the following games: Jack and the Beanstalk, Starburst and Gonzo’s Quest. 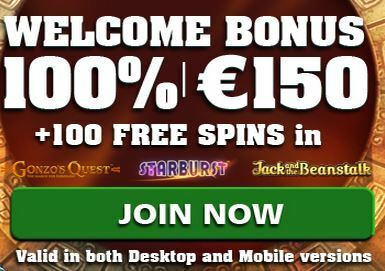 Visit Casino Luck and Claim your 100 Free Spins Now! Good Luck during the weekend if you play at CasinoLuck!